Imagine that you’re a patient going in for routine surgery. Now imagine that you’re one of 40 U.S. patients a week who awakens from anesthesia– only to find that your surgeon has operated on the wrong site. Say for example, your right leg instead of your left leg. What would you do? Sue your doctor? The hospital? A surprising report from The Joint Commission, which accredits and certifies healthcare organizations in the United States, finds that the problem of wrong-site surgery has worsened, not improved. More and more medical patients are waking up to find that their doctors made an error in a common surgical procedure. 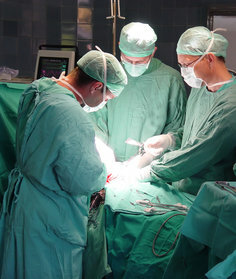 According to Kaiser Health News, wrong-site surgeries continue to occur on a regular basis. This comes years after the president of The Joint Commission introduced mandatory rules aimed at preventing surgeons from performing procedures on the wrong site. The study found that wrong-site surgery occurs an estimated 40 times a week in U.S. hospitals and clinics. However, according to the commission, which encouraged surgeons to submit cases of error, only 93 cases were reported in 2010. According to the commission, reporting of such incidents is voluntary and confidential. This policy is in place to encourage doctors and hospitals to come forward . Aside from the commission, the laws in about half the states, do not require reporting. Despite campaigns to encourage surgeons to participate in a timeout at the start of every surgery, where each surgical team takes a moment to verify the procedure to be performed, the article posits that the mistakes may be explained by the increased time pressures surgeons face. Because reporting is not required by many states, the number of estimated wrong-site surgeries could be a gross underestimation. Interestingly, a smaller percentage of wrong-site procedures are litigated in medical malpractice suits than one might think. Settlements in these cases are substantially lower than those where the wrong-site patient seeks representation. According to a 2010 study, which reviewed 132 wrong-site cases, about one-third of procedures resulted in death or serious injury. Despite these horrific outcomes, the average compensation to victims was approximately $80,000 in cases that resulted in a lawsuit and $47,000 in cases settled without legal action. As incidents of wrong-site surgery continue to increase, patients and their advocates should continue to press for more accountability from their hospitals and their doctors.